"My classes are for those who are curious about bellydance, to keep fit & flexible, to discover the culture and music of this entrancing art form and to have fun!" Natasha has also studied at the world renowned Drumzy School of Music and Dance under the direction of Hossam and Serena Ramzy achieving certification on the Advanced Dancers Course. Natasha continues to play Egyptian Tabla and is part of Serena's dance troupe SRDC. 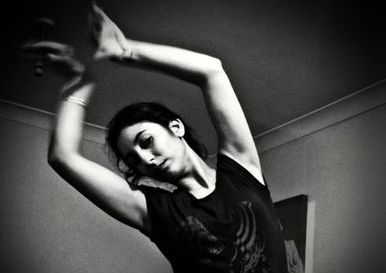 Natasha has trained with Persian Dance Master Helia Bandeh. Meeting Helia and discovering Persian Dance has been especially rewarding for Natasha as she has found a deeper connection with her Persian background. To find out more about Natasha's Persian Dance visit her Persian Dance website.